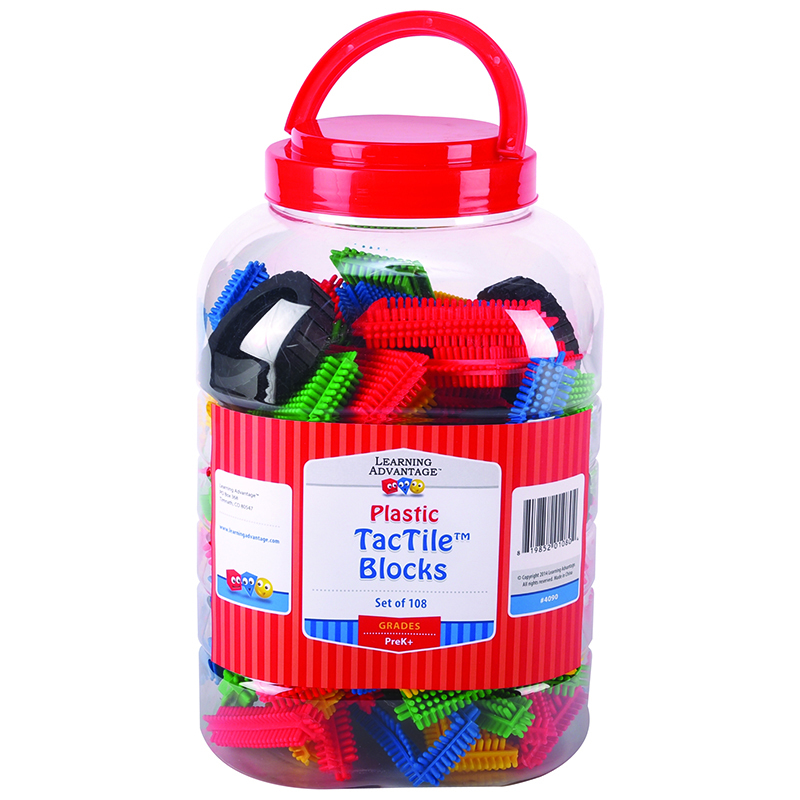 TacTiles™ are the ideal first construction toy for toddlers and perfect for kids with big imaginations! Flexible blocks feature soft bristles for ease of grasping and sensory stimulation. Easy to put together and pull apart, TacTiles™ construction blocks aid in the development of motor skills and eye-hand coordination. 108-piece set packaged in a handy storage container.